Will developers now focus on budget homes? Saheli January 17, 2017 Real Estate Comments Off on Will developers now focus on budget homes? Affordable housing will be the first asset class likely to lift the gloom in the residential market. Interestingly, a slight improvement can be expected in the last two quarters of 2017. This will be led by affordable housing as the government gives a push to this segment to fulfil the objectives of Housing for All by 2022. The Pradhan Mantri Awas Yojana (PMAY) “will push disruptive sales. The budget too may have some incentives for the affordable housing segment such as an exemption on stamp duty, some income tax exemptions and more clarity on the income criteria and other requirements for availing this scheme,” says Pankaj Kapoor of Liases Foras. Developers might have to make changes in their offerings and launch more projects in this segment and many are working towards that goal. The Signature Global Group, which has a few affordable housing projects in Gurgaon and Sohna, is planning to launch two other projects in the affordable housing segment next week. These are planned in “Sector 95A Gurgaon and Sector 36 in Sohna. These will have 2,400 units this week,” says Pradeep Aggarwal, co-founder and chairman of the group. The customer base of the company includes employees in BPOs, auto sector and those holding government jobs . 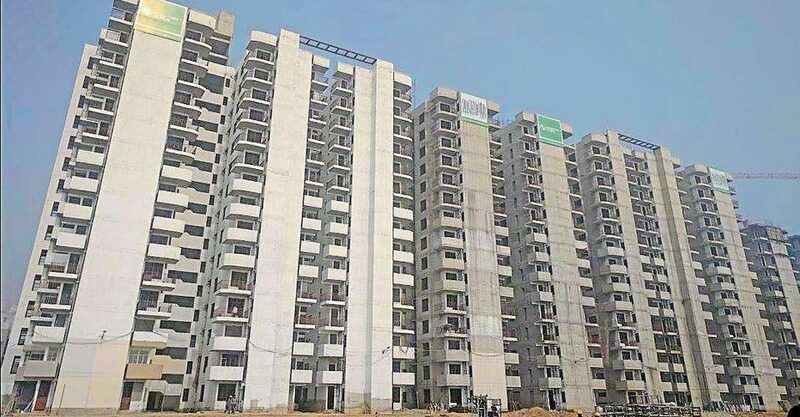 Manoj Gaur, managing ­director, Gaursons India Ltd, says his company will launch 900 units (spread across three towers) in its Greater Noida West townships. To be priced in the range of Rs 12 lakh and Rs 20 lakh, “these will be units of 430 sq ft and 730 sq ft with common group housing facilities,” says Gaur. In the coming months, many builders who are holding on to old land banks are likely to launch affordable housing projects instead of luxury housing or get into joint ventures to come up with projects in this segment. Getamber Anand of Credai National is of the opinion that the lower interest rate regime will drive the real estate market across segments. “Going ­forward, the opportunities in the real estate segment are huge and the demand will be real,” he says. ATS, Anand’s company, has launched affordable housing in Bareilly, Bijnor, Moradabad and has delivered units. As per reports, Tata Housing Development Company Ltd, Shapoorji Pallonji Real Estate, Mahindra Lifespaces Developers Ltd and The Wadhwa Group are on course to launch affordable housing projects in the first three months of 2017. A recent report by financial sector ratings agency ICRA Ltd has said that the total loan book of all players in the affordable housing segment stood at Rs 960 billion as on March 31, 2016, registering a growth of 28% year-on-year. Newer players, however, grew at a much faster pace of 82% in the financial year 2016. “The amendments to the PMAY scheme will increase the number of homebuyers who will get covered under the scheme, and this will provide a fillip to the housing market as the base at the lower end is much larger,” says Karthik Srinivasan, group head – financial sector ratings, ICRA Ltd. In a three to four-year period, the growth of housing finance companies in the affordable housing space will be in excess of 30%. Realty experts also say that since affordable housing is a volumes-driven market, besides private builders, government agencies such as DDA, HUDCO (Housing and Urban Development Corporation), MHADA (Maharashtra Housing and Area Development) will also have to pull up their socks to bring in more supply in this segment. “There is more willingness required from their end,” says Pankaj Kapoor of Liases Foras.